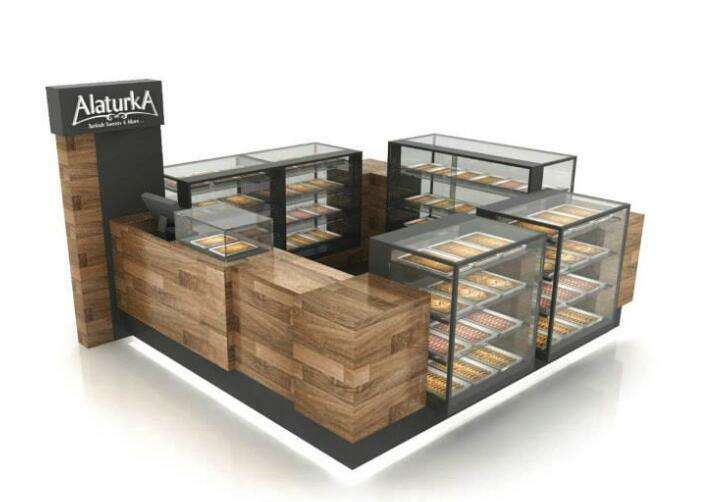 Open a bread kiosk or bakery kiosk in a mall , you will never need to worry about customers. After all, no one can live without food. Bread as delicious and easy food that everyone like it. So, if you want to start a fast food business in mall. 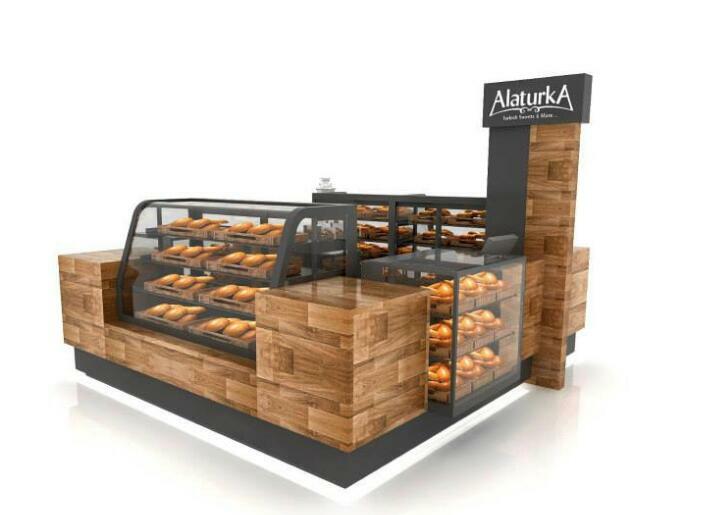 Open a bakery kiosk will be nice ideas. 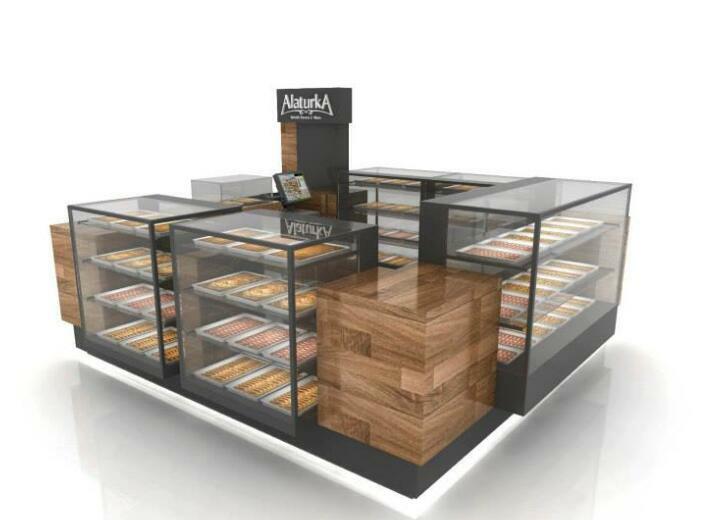 To start your bread retail business in mall, you will need a professional kiosk design. Bread kiosk in mall is a small bread shop where you can do a retail service. 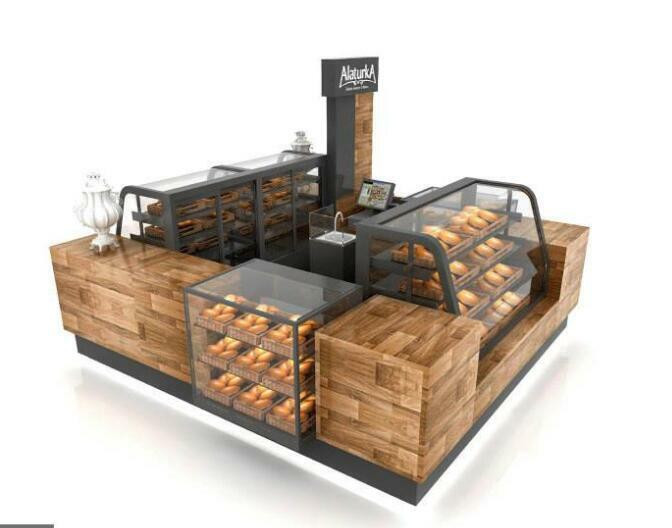 Here below is nice wooden texture look french bread kiosks concept. 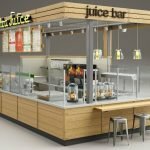 If you need a custom kiosk concept for your busienss. Please contact our sale support here left. We work in making handcrafted booths. We handle the whole procedure, from working through your financial plan to building up the structure, to assembling the unit. On the off chance that you need brilliant, customized stands, we are the development organization for you. 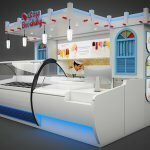 Specialized, compositional, and mechanical designing aptitudes are fundamental to handcrafting a booth, yet you likewise need developers who can utilize visual communication to give the piece creative style. Extraordinary craftsmanship is essential amid the assembling procedure. 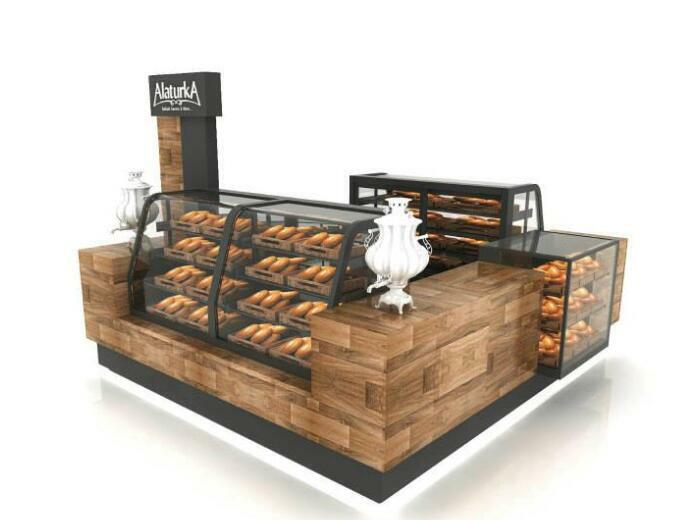 We can influence your vision for a stand to turn into a reality. An alluring booth makes your business emerge, and we have the right stuff to accomplish only that. Get in touch with us today to begin! NOTES: If you request is dire, we can complete this stand in a brief timeframe ONLY need 10 working days! Work straightforwardly with our fashioners, set aside extra cash and maintain a strategic distance from expensive oversights. We are quick, effective and we are inventive to the point. Unique Kiosk offers a one stop shop! 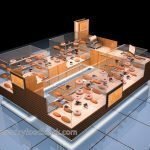 We are one of the main retail configuration based organizations who do everything from brand character improvement and visual computerization to retail booth bistro’s and shops plans including total structural development illustrations. We structured the booth logo, captured the notable natural product pictures, created a considerable lot of the inscriptions for the retail stands and shops and were in charge of the total signage, promoting, publicizing and bundling of sustenance stand, dessert booth. 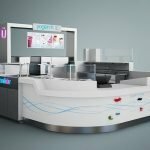 Regardless of whether you are a setup business, standard brand or an energizing startup business visionary, work legitimately with our group at Unique kiosk and we can make another and energizing retail condition for you. Just told me the data of stockroom, or shopping center or personal residence, and we can conveyance the products to you. when you request the stand from our organization will sparing your time and cash. How we pack a bread kiosk for shipping? Getting a ready strong wooden container, the thickness of wood is in 9 mm. Embracing froth pressing and delicate EPE assurance. Froth between the item and wooden container. Thickness 12 mm X 100 mm width outline for every side of the container. Standard hardware and talented laborers. Burden on the truck and get ready for conveyance from the receiver nearest port.